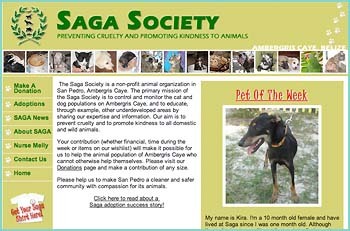 SAGA Humane Society in its ongoing effort to help control the pet population in San Pedro is collaborating with World Vets to offer a FREE Spay & Neuter for pets in low income household’s, March 13-15, 2012. There will be an international team of Veterinarians, Vet Techs, Assistants and Veterinarian Students to offer FREE services to the community of San Pedro. 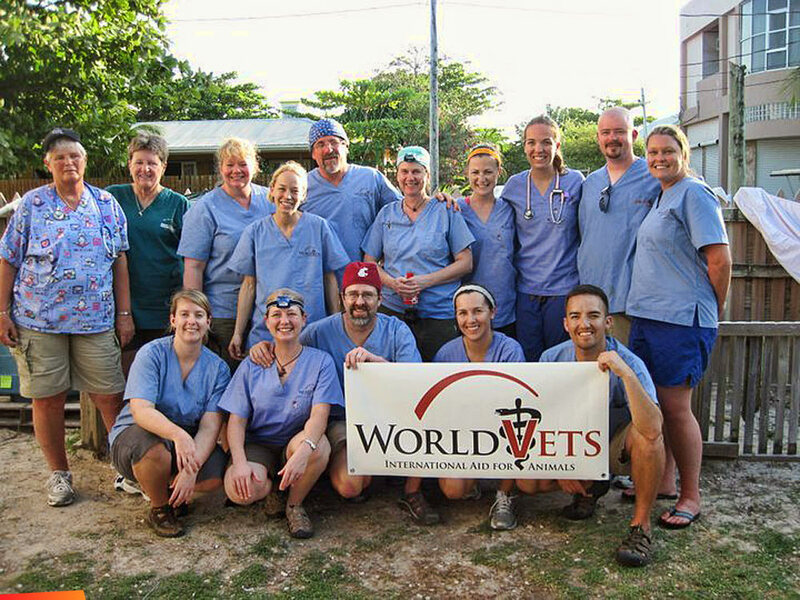 This NGO states on their website “Our mission is to provide veterinary aid in developing countries and veterinary disaster relief worldwide.” This is the second year this wonderful organization has brought it’s much needed services to La Isla Bonita. In 2011 the team was able to Spay/Neuter over 50 animals. This year the goal is to more than double these numbers. Please give these exceptional volunteers a warm island welcome if you see them about town. San Pedro is on an island, so it would be very easy, if everyone did their bit, to solve our dog problems. The simplest, kindest and easiest way to do this is to neuter male dogs and spay female dogs before they have the chance to have babies, or catch one of the deadly sexually transmitted diseases so common among dogs in San Pedro. Neutered and spayed dogs are better pets, better guards, healthier, less at risk of disease and, more importantly, by having your dog neutered or spayed you are helping to make San Pedro a better, healthier and happier place for everyone. Do the right thing, get your dog neutered or spayed. During this campaign March 13-15 SAGA HS will be in the community capturing stray animals to be brought in for Spay/Neuter surgeries. 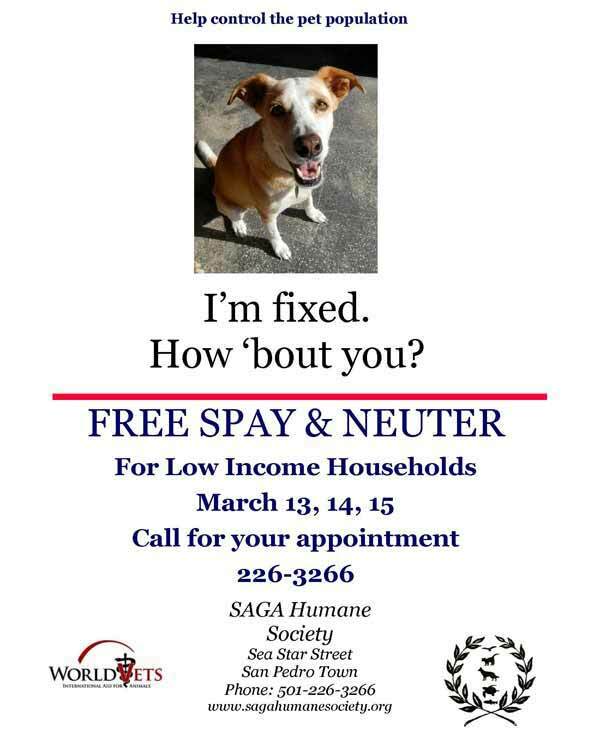 SAGA HS is now making appointments for FREE Spay & Neuter 226-3266. If you can assist SAGA HS and World Vets during this time, let us know. We will need these volunteers and services to help: Patient check in, Bi-lingual interrupter, transportation of both animals and the Vet team to and from clinic, discount of lunches, stray animal capture and general assistance at clinic. Please contact SAGA HS at 226-3266 or email [email protected] for details on how you can help. Fix your dog to fix up San Pedro!